Deira Old Souk Abra Station is an abra dock in the Deira area of Dubai. It is located on Baniyas Road, just yards from Dubai’s famous Spice Souk. It’s also near the Gold Souk and Perfume Souk. 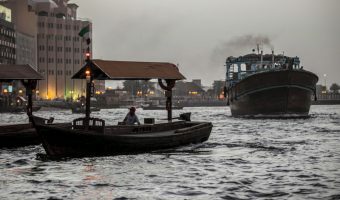 Boats depart from the dock for Bur Dubai Abra Station on the other side of the Dubai Creek. 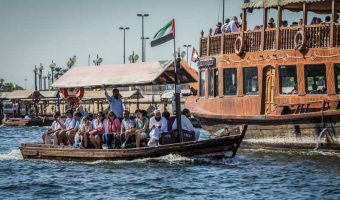 The journey takes just five minutes and costs a measly 1 dirham. Abras on this route (Route 1) operate from 5 am to midnight with a departure every couple of minutes. The nearest Metro station is Al Ras Metro Station (Green Line), about 500 yards away. The surrounding area is a busy commercial district. Aside from the Spice Souk, there are plenty of small shops, places to eat and drink, and other businesses. To reach the Spice Souk just cross Baniyas Road, via the pedestrian crossing or underpass. To get to the Gold Souk just walk 300 yards up Old Baladiya Street. The Perfume Souk is just to the east. Arabian Tea House (0.3 miles) - Outdoor cafe in Bur Dubai. Relaxed courtyard setting with tables shaded by canopies. Offers more than 100 varieties of tea from all corners of the globe. Food menu includes Arabic breakfasts, salads, sandwiches, and BBQ dishes. Map showing location of Deira Old Souk Abra Station. 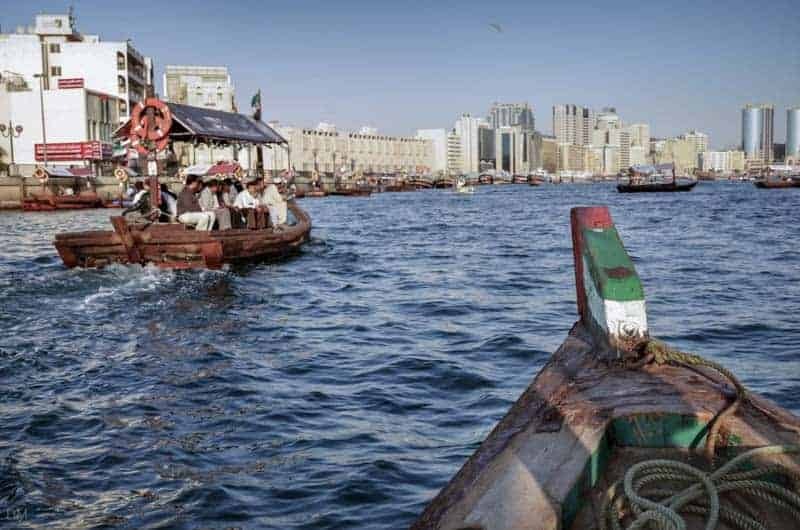 Abra station on the southern side of the Dubai Creek.